Located around 20 miles from Sydney CBD, this is a modern world class medical facility operated by an enthusiastic management team. Their mission is to provide high quality, community focused healthcare that is accessible, affordable and culturally sensitive. There is an extensive range of integrated services and facilities at the clinic including; Pharmacy, Diabetes Clinic, Skin Cancer Clinic, minor surgery clinic, Pathology, Phsyio and Rehab Gym and Cosmetic Clinic. The management's vision places the doctor – patient relationship at the heart of their operation. All plans are aimed at creating the culture in which this relationship will flourish, based on open two way communication, trust, mutual respect and continuous quality monitoring. The clinic is interested in partnering with doctors who share their vision and who are committed to helping achieve best practice healthcare outcomes for the local community. On offer is a flexible working pattern as well as opportunities for autonomy and control over clinical decision making. You will be contracted to work 38-40 hours per week including 1 or 2 evening finishes per week and a share of weekend roster (6 hours every 2nd weekend). • Guaranteed minimum hourly rate available for initial settling in period. Located just 20 miles from the CBD, with easy access to major freeways, rail and bus networks. Working here allows you to live locally in many attractive suburbs or if you are happy to commute to work (out of the city so against the traffic) you could easily live more centrally in Sydney. 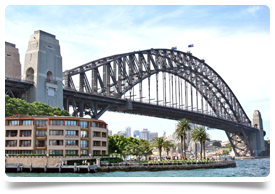 Sydney is a vibrant and cosmopolitan city, home to a mix of arts and culture, fantastic restaurants, exciting nightlife, some of the world's best beaches and a rich cultural heritage. It is a wonderful city and a destination that it is very hard not to fall in love with so what are you waiting for?